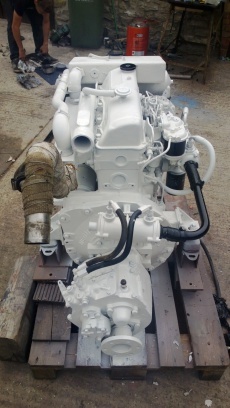 Ford Mermaid Melody 88hp 4 Cylinder Heat Exchanger Cooled Marine Diesel Engine Complete With PRM Hydraulic Gearbox. Direct from one of our customers and in full running order. Removed to be replaced with a newer model as part of a planned refit. The engine is understood to have been rebuilt 2 years ago including new pistons, rings, liners and bearings and has run approximately 800Hrs Since. 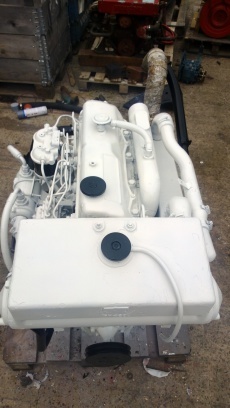 It has been test run, thoroughly cleaned and resprayed in heat resistant primer followed by heat resistant Mermaid White and is now ready for more work or play.